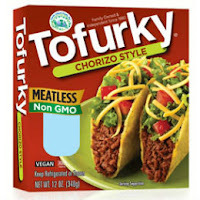 That's good, I find most tofurkey stuff (like the sausages/bacon/etc) tasting all the same, that kinda bland gluton flavor. I'll look forward to trying this out. Even my meat-eating husband loves this stuff, and this past weekend, a VERY meat-eating friend tried it and said "not bad", which is a win in my book. We LOVE this stuff, and it is our go-to for taco night (along with Beyond Meat Southwestern flavor). Love this! Much better than the Trader Joe variety! I added it to homemade baked bean recipe. Excellent flavor and texture. I finally gave this a try, and I'm very pleased with it. Totally satisfies my chorizo cravings! I throw this on nachos with tons of cheese! Awesome! It'll be worth the wait, if it ever comes in.